Wednesday 13 has spoken exclusively to Metal Hammer about a possible Murderdolls return. He said last year that he’d welcome a reunion with the band’s co-founder Joey Jordison if it was something fans wanted to see. And he’s checked in to say playing Murderdolls live shows is a possibility – but not in the near future. 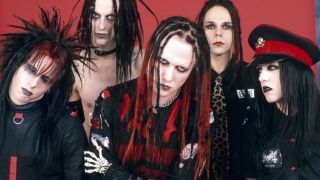 Wednesday 13 adds that one of the reasons he’d like a Murderdolls return is so they could play material from 2002’s Beyond The Valley Of The Murderdolls as they didn’t have a proper opportunity to promote the record at the time. He says: “Just to get out, do some shows, and play those songs first before we even think about a record is where my mind is. The band’s been around 15 years this year – it’s kind of classic at this point. I would love to have Murderdolls be something I do on the side here and there, and Joey has his own projects that keep him happy, but why not do it on the side? Last week, Wednesday 13 released a video for his track What The Night Brings from his upcoming album Condolences. It’ll launch on June 2 via Nuclear Blast. He’s just wrapped up live performances in Australia but has further dates planed over the coming months.